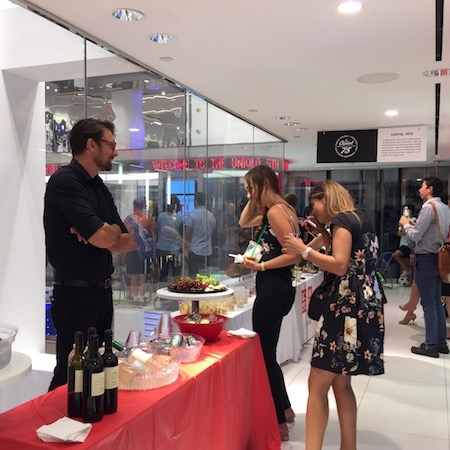 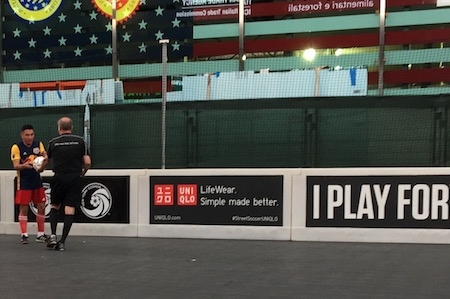 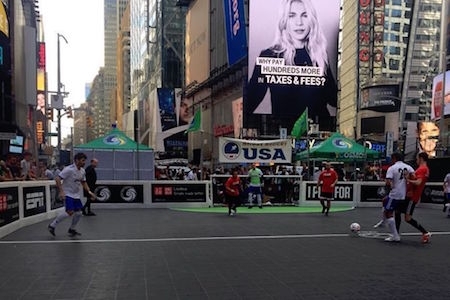 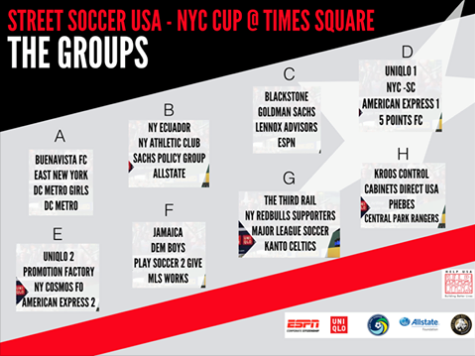 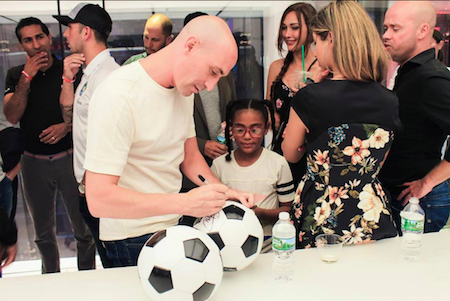 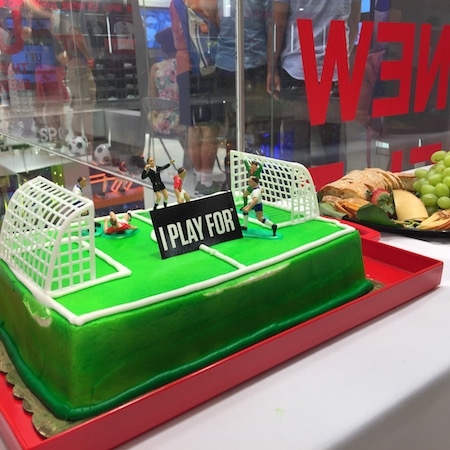 Uniqlo USA, official sponsor for the Street Soccer USA, hosted a reception on Sports for Social Impact, celebrating upcoming Times Square Cup. 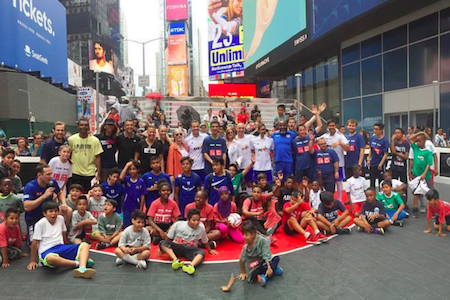 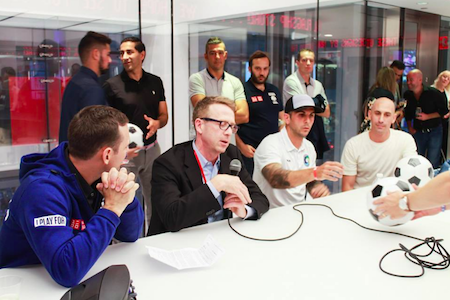 Participants included Street Soccer CEO Lawrence Cann, UNIQLO Global Director of Sustainability Jean Shein, New York Cosmos captain Carlos Mendez and President of the Association of Spanish Footballers Luis Rubiales. 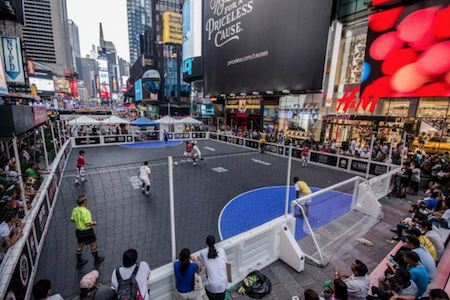 Games were held from 9am to 10pm, a half block away from Uniqlo Times Square Store.